This safety anti-trip rubber cable protector is a legal requirement for public places and events where public may be present. Our Chillchaser Heavy Duty Electric are made from heavy duty rubber which is non slip making this perfect for carpets or hard floors. Ideal for use in the home or office and perfect for hiding unsightly and dangerous cables anywhere exposed cables and wires could be a hazard. This Heavy Duty Electric is thicker and heavier than most on the market offering more durability over time. 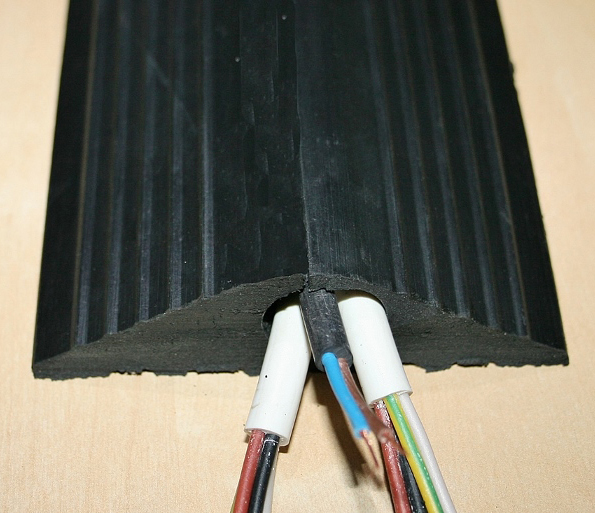 It can take up to 22mm diameter cables. This cable safety protector is shaped as a bumper to help prevent accidental tripping. Easyfit design means a quick installation in minutes by simply inserting cables into the top of the bumper through a pre-cut opening without the need to remove any plugs. Hiring cable protectors costs £5 (excl. VAT) in addition to the price of renting out the heaters.